On 5 September the Bahrain’s Public Prosecutor today charged prominent human rights activist, Nabeel Rajab, after the New York Times published his letter from prison. Mr. Rajab has been held in detention on charges related to his online freedom of expression since 13 June and is already facing 15 years’ imprisonment. The Bahrain Institute for Rights and Democracy, Americans for Democracy and Human Rights in Bahrain, the Bahrain Center for Human Rights and Index on Censorship condemn all the charges against Mr. Rajab and call for his immediate release. On 4 September, the New York Times published a letter Mr. Rajab’s, written during his time in detention. In the letter, he claims that he was threatened into silence after being released from detention in July 2015. He also exposed how a meeting with the US Secretary of State John Kerry led to him being interrogated by Bahrain’s cyber crimes unit. Mr. Rajab was called into interrogation by the Criminal Investigations Directorate on 4 September and questioned by officials regarding the article. He was further interrogated today by the Public Prosecutor. He was denied access to a lawyer on both occasions. A statement published by the Public Prosecution Office today announced that Mr. Rajab has been charged with “intentionally broadcasting false news and malicious rumours abroad impairing the prestige of the state”. The charge could lead to an additional one-year prison sentence. Sayed Ahmed Alwadaei, the Director of Advocacy at the Bahrain Institute for Rights and Democracy said, “Anyone can read the words of Nabeel Rajab on the New York Times to see how pathetic this charge--which is completely contrary to the principle of free expression--is. During a time where authorities are punishing anyone with a contrary opinion, its attacks on the most basic universal freedoms have only caused further instability”. The Bahrain Institute for Rights and Democracy spoke to Mr. Rajab’s lawyers who stated that the Public Prosecution refused to allow them to attend the interrogation. Despite inquiring about the interrogation at the Public Prosecution office, while Mr. Rajab was there being interrogated, officials denied that he was being questioned. The lawyer was not informed of Mr. Rajab’s interrogation by the Criminal Investigation Directorate. Jodie Ginsberg, the CEO of Index on Censorship said, "Index on Censorship is appalled at this latest move by Bahrain to suppress Nabeel Rajab's free speech. 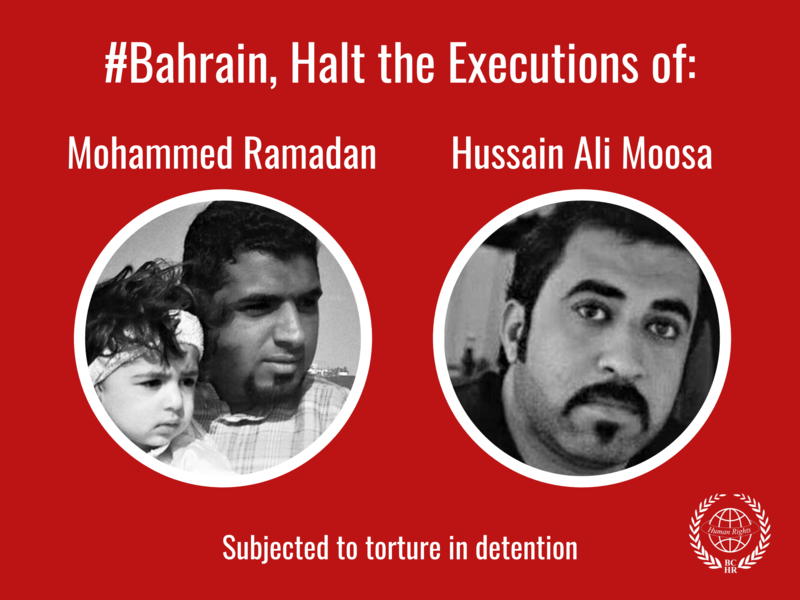 Bahrain's allies - especially the United Kingdom - need to speak out now, publicly condemn this charge and call for Nabeel's immediate release." Since 2011, Mr. Rajab has faced multiple prosecutions and prison sentences for his vocal activism. He was placed on a travel ban in 2014 and has been unable to leave the country. He faces other charges of “insulting a statutory body”, “insulting a neighbouring country”, and “disseminating false rumours in time of war”. These are in relation to remarks he tweeted and retweeted on Twitter in 2015 about torture at Bahrain's Jau prison and the humanitarian crisis caused by the Saudi-led war in Yemen. He may face up to 16 years in prison if convicted. His trial was postponed again today to 6 October 2016 for ruling and the judge refused renewed requests to release him. At the court Rajab informed the sitting judge that he considered the charges against him "malicious" and that his arrest came as consequences of his meeting with John Kerry. 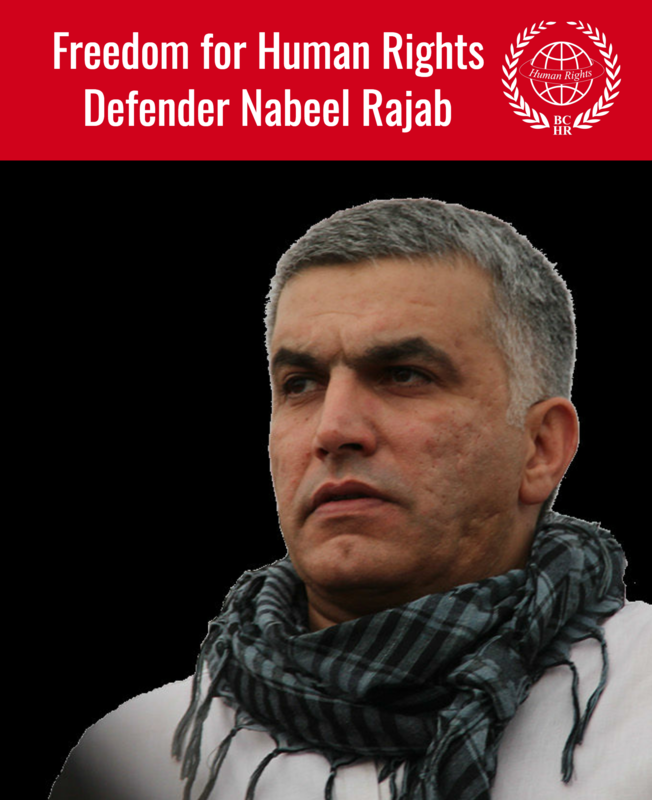 Husain Abdulla, the Executive Director of Americans for Democracy and Human Rights in Bahrain said, “The entire case against Nabeel Rajab has been a sham from the start, and this new charge further shows it to be nothing but an attack against free peaceful expression. Its time for Washington to send a strong message to its ally that it will not tolerate such blatant repression by suspending all arms sales with the Al Khalifa regime”. As a signatory to the Universal Declaration of Human Rights and the International Covenant on Civil and Political Rights, Bahrain has an obligation to uphold individuals’ rights to freedom of expression. This includes free expression online. Everyone accused of crimes must also be afforded the right to a fair trial including access to a lawyer. Access to justice is a basic principle of the rule of law and all persons should be entitled to access a lawyer of their choice at all stages of judicial proceedings.